it’s save the frogs day! I couldn’t let this day go by without a nod to my amphibian friends (after all, raganella means tree frog in Italian). You might have heard that amphibian species are in trouble worldwide. Their numbers are declining, with numerous factors bringing about their demise. It’s a sad state of affairs. But that’s what this day is for. 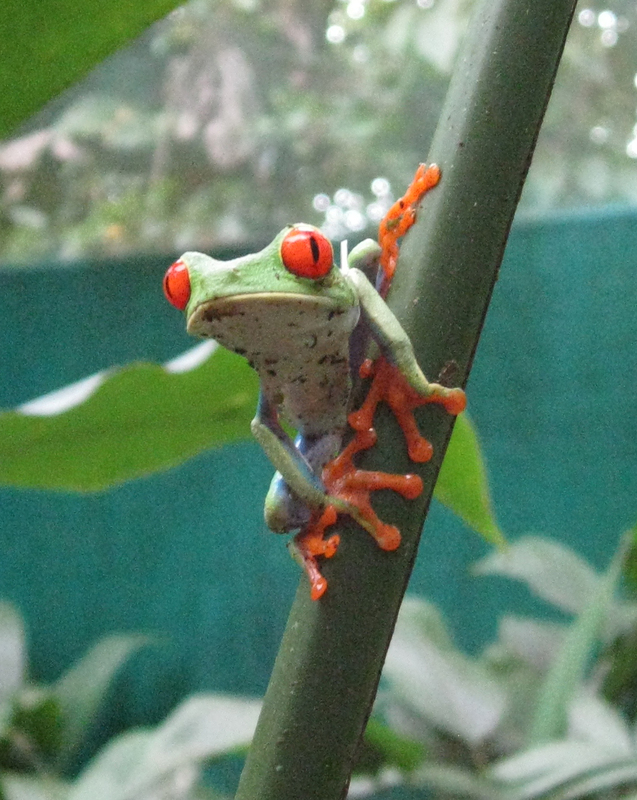 There are events taking place all over the globe to bring awareness to the frogs’ plight. Find an event near you, or make one up (it doesn’t have to be just today, either). Here’s one simple thing you can do to support frogs. Push for the banning of atrazine, a potent and widely used herbicide that’s no longer legal in Europe due to its harmful effects on amphibian reproduction and development (you can also take action via NRDC). Atrazine is the most commonly found pesticide in rainwater, groundwater, and tapwater in the US. Frogs are an indicator species, showing us when an ecosystem is polluted or out of balance. Let’s listen to these sensitive creatures and stop using atrazine to kill plants (and unintentionally, amphibians). Do we need a new city? Is there something wrong with our old city? Sure, there are a lot of things going right in this big urban place we live in – a vast public transportation network, small & densely packed dwellings (saving on energy & other resources), new & improved bike lanes & pedestrian areas, great parks. But there is still a lot of room for improvement. “What?” you may ask. Come to the Festival of Ideas for the New City to find out what the true visionaries are already doing & planning to pave the way to an even better city. Come for the StreetFest on May 7th to visit an incredible array of organizations & individuals reshaping the city. I’ll be there with the MOS Collective, doing free demos & selling my body care & cleaning solutions. 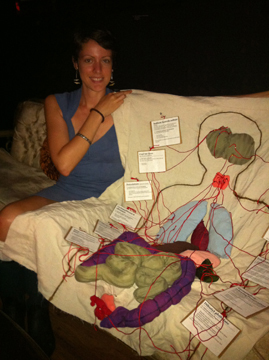 And I’m breaking out my personal care product body map for the occasion (see below). My pals, DeeDee & Marga, also of said Collective, will be creating personalized maps, highlighting your favorite sustainable resources throughout the city. Shig & Annie will be singing the praises of compost (Annie might also be selling her book, Gastropolis ). Check out this cool interactive map to find where we’ll be on the day. We’ll be there from 11am to 7pm. My friend Kate Payne will also be there promoting her awesome new book, The Hip Girl’s Guide to Homemaking. It is guaranteed to be an inspiring time. I love creating new ways to pamper myself and others. 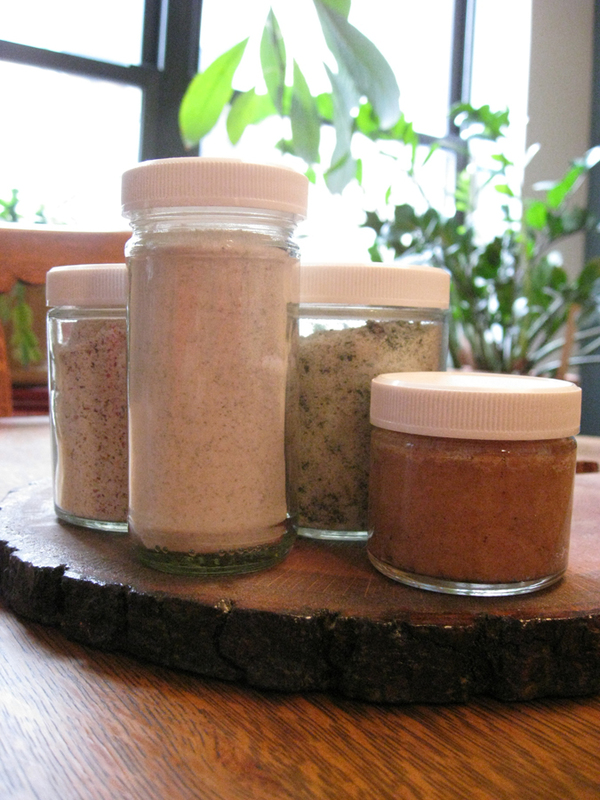 Today I came up with a body scrub that I’m feeling really good about. I’m so excited about it that I couldn’t wait to share the recipe with you. So, for my CSB members, SPOILER ALERT! This is going to be in your share this week. This product will also be available on my just-launched Etsy shop very soon. 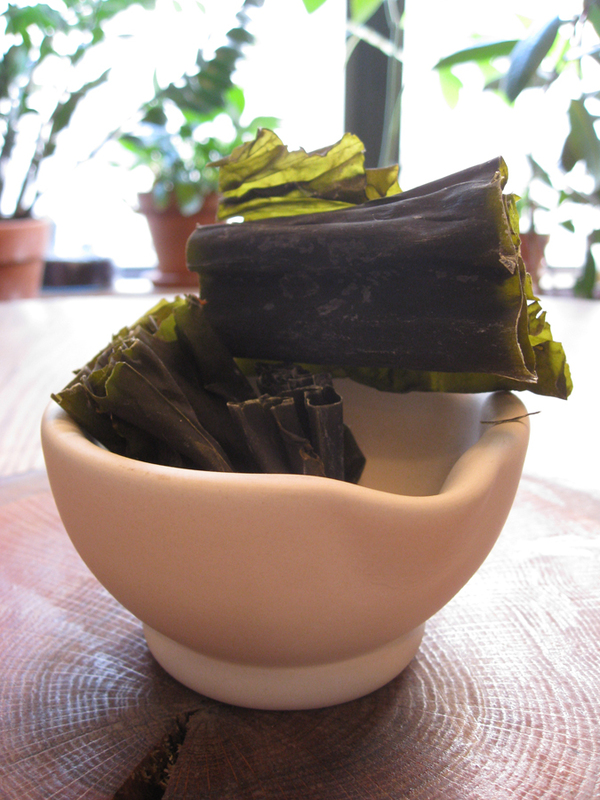 Cut the kelp into small strips (about 3 inch by 2 inch). Toast in a skillet over medium-high heat. 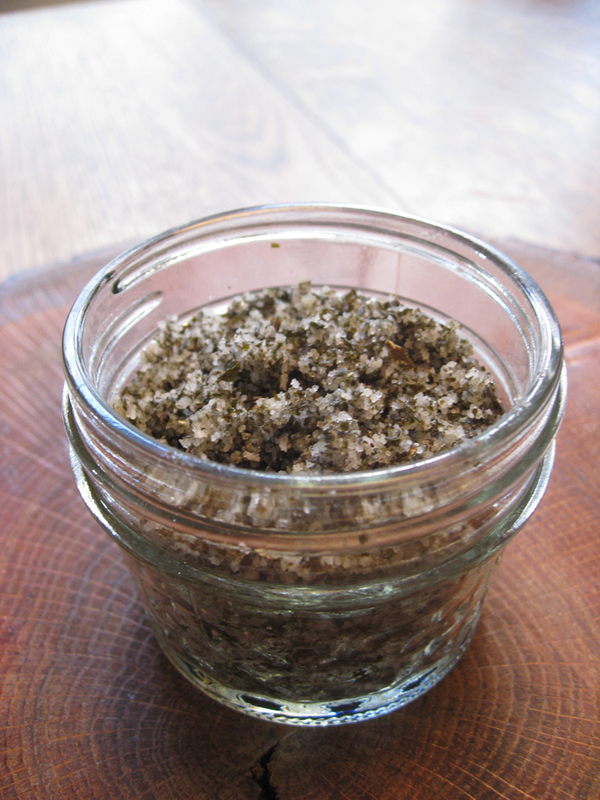 Once the kelp starts to get slightly browned around the edges, place in a seed grinder or blender. Grind into a course powder. 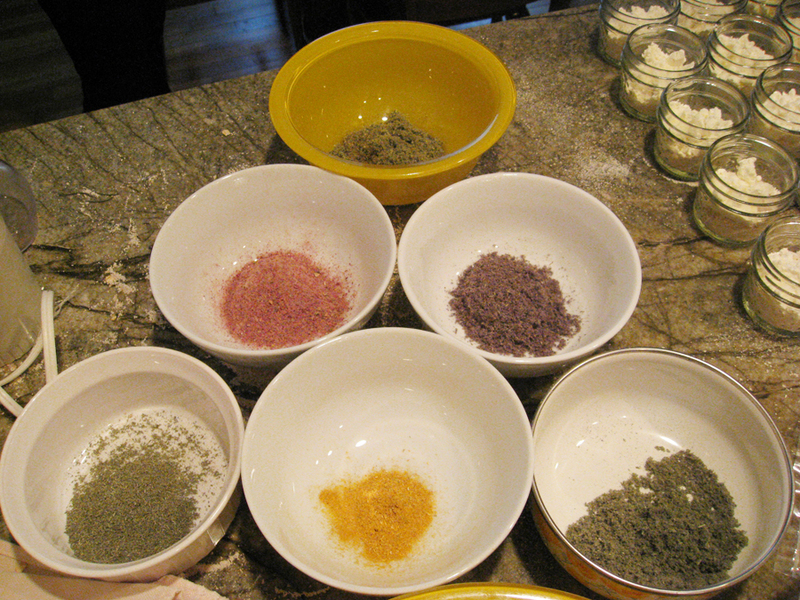 Place in bowl and mix in sea salt. Add avocado oil, castile soap, and grapefruit essential oil. Mix well. Place in a 4 ounce jar. To use, scrub on body, starting from the feet up. You will notice the mixture will start to get slippery (this is the part I love). If you can, leave the scrub on for 5 or 10 minutes. That is one ginormous compost pile. Curious about compost? Come to a workshop I’m leading next Saturday, April 16 at the New York Botanical Garden Midtown Campus! 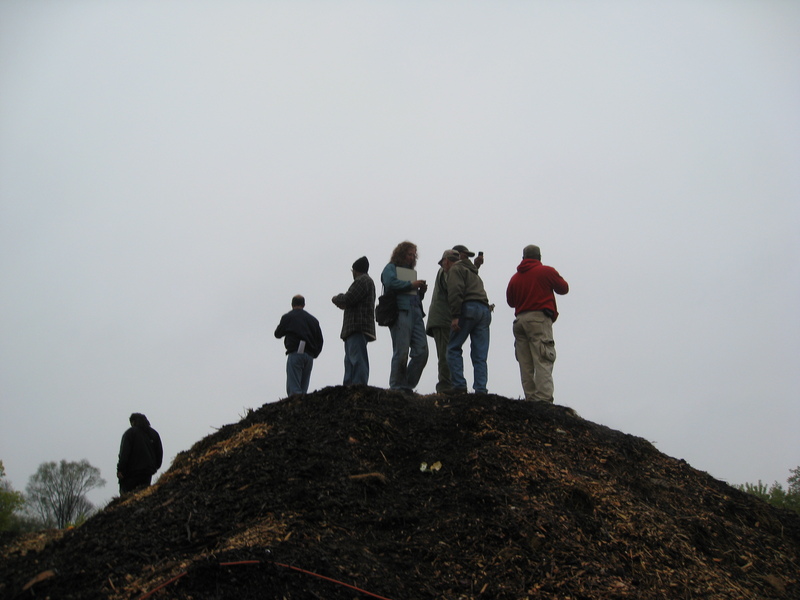 Experience the alchemy of composting. Learn how to create nutrient-rich amendments for your garden bed while diverting food and yard waste from the landfill. 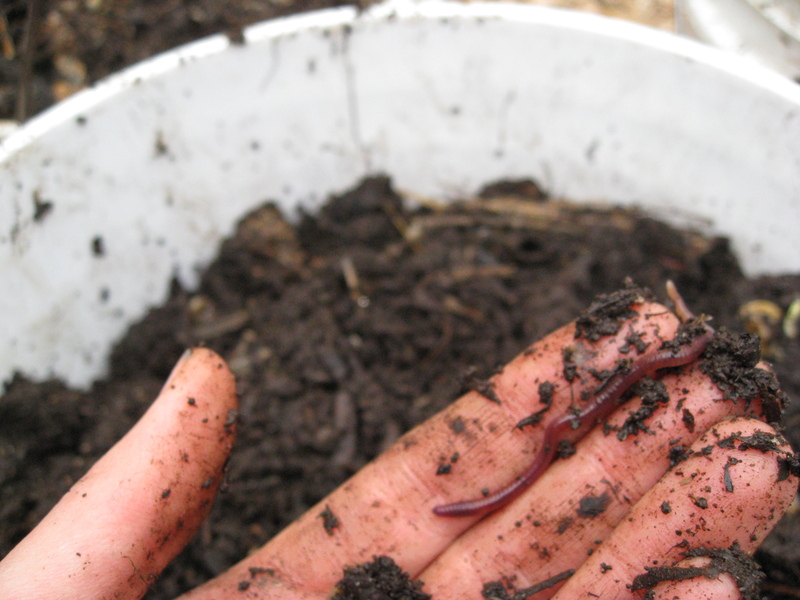 Explore a variety of methods and uses for diverse settings, including indoor vermicomposting (worm composting) for small spaces and a range of outdoor bin systems. Reserve your spot in the class! I’m leading this workshop which is hosted by The Good Life’s Melissa Danielle! You are currently browsing the Raganella blog archives for April, 2011.